Solar World SunModule® Solar panel has 72-monocrystalline cell that converts the highest amount of solar energy into electricity. It has reverse current rating of 25-Amps and voltage rating of 1000-Volts. Solar panel has power rating of 320-Watts at STC and 244.4-Watts at NOCT. 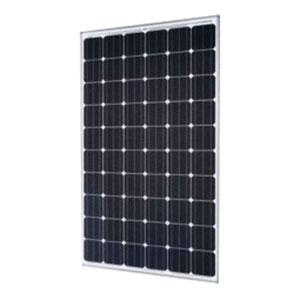 Solar panel with H4 connector connection, features anodized aluminum alloy frame. It measures 78.46-Inch x 39.4-Inch x 1.3-Inch and withstands temperature rating of -40 to 85 deg C. It has open circuit voltage rating of 45.9-Volts at STC and 40.1-Volts at NOCT. This solar panel withstands heavy accumulations of snow and ice. SunModule® Plus concept provides an optimal performance and reliability. Solar panel is UL listed and CE/cCSAus/IEC/TUV/ISO certified.